Moist sandy to mucky (or marly) shores, excavations, interdunal hollows; marshy or sedgy ground; borders of streams and cedar swamps; crevices in sandstone. This species is distinctive when it has (ovate-) lanceolate 5-nerved leaves, but tends to run close to H. canadense, with which it is alleged to hybridize. 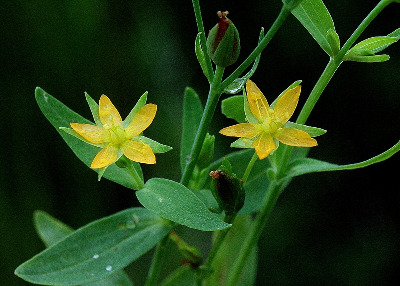 Except for some depauperate individuals, only one truly intermediate specimen has been encountered, with short sepals (even in fruit) but leaves up to 5-nerved (C. A. Davis in 1905, Dickinson Co., MICH). Both these species also reportedly hybridize with H. mutilum. MICHIGAN FLORA ONLINE. A. A. Reznicek, E. G. Voss, & B. S. Walters. February 2011. University of Michigan. Web. 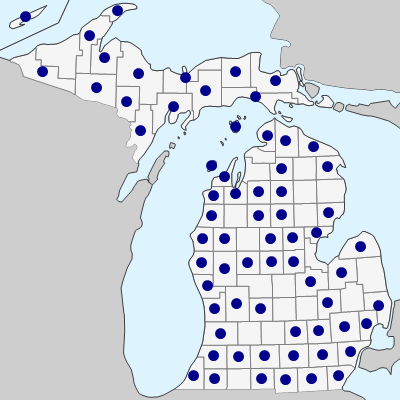 April 21, 2019. https://michiganflora.net/species.aspx?id=1463.